BMW is a German car company, and BMW stands for Bayerische Motoren Werke. This translates to Bavarian Motor Works, and they are known for making some of the finest vehicles and some of the fastest models available to Normal and Decatur drivers. Learn more about the BMW name, and fuel your next car shopping trip! Why is the Company Called Bavarian Motor Works? Bavaria is a southern state in Germany. BMW originally made airplane engines in this state in 1917. The BMW Group owns BMW, as well as other luxury brands like Mini and Rolls-Royce, and BMW headquarters are located in in Munich, the capital of Bavaria. BMW started in 1916 and was originally known as BFW, or Bayerische Flugzeug Werke. It officially became known as BMW in 1917 as it continued to produce airplane engines. In the 1920s, the company added motorcycle production as well. BMW started as an automaker in 1928, and for the next 20 years, they were met with stiff competition. In 1959, German entrepreneur Herbert Quandt gained controlling interest of BMW, and the company introduced the 700 Series. From then on, BMW vehicles gained popularity both overseas in in the U.S.
Today, BMW is owned by the BMW Group, or BMW AG. The AG signifies that this is a public company and is owned by shareholders. Today the Quandt family still owns 50% of BMW, and the other 50% is owned by public investors. If you’re shopping for a new BMW sedan for your %%target_city_%% commute, or you’d like to buy a pre-owned BMW SUV to transport your Decatur family we can help. 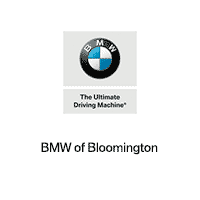 At BMW of Bloomington, we’re happy to share more about the history of BMW and find you the right vehicle for your needs. Explore our inventory online before you take a test drive with us in Bloomington. 0 comment(s) so far on What Does BMW Stand For?